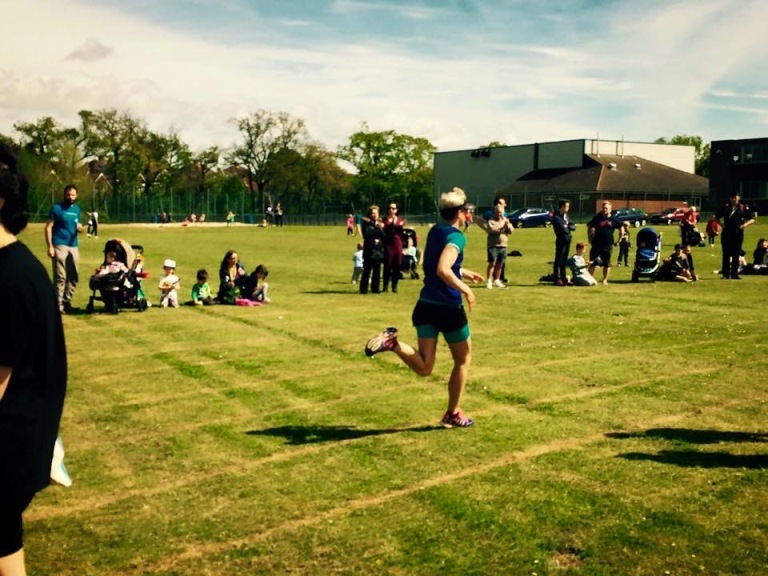 On Monday I had planned to do track as normal but in the course of arranging my lift with Steve I discovered Pete was doing The Cooper Test before the session so I thought I might as well do it too. I set off on a 10 minute warm up with Pete which meant it was faster than I would do on my own. After a minute or so recovery it was time for the 12 minutes. I knew this meant I should travel further than 3000m (4 minute kilometres). Pete said he did 3050 on his first attempt 5 weeks previously so I hoped I could get at least that far. My plan was to attempt to keep with Pete for as long as I could and when he inevitably began to draw away I would try and keep the gap as small as possible. After an 80 second first lap I was a bit worried I would flag terribly but I managed to keep with Pete for a while longer before he began to pull away. I just tried to keep up as well as I could but he was far too strong and I dropped behind. However I kept going as much as I could and many hours (approx 6 minutes) later I could finally stop. Pete was around 100m ahead of me but luckily that was because he ran much further than his first attempt. 3190m this time. I managed 3090 so perfectly acceptable. Because The Cooper Test is obviously designed for “normal” people I was always going to be in the “Excellent” category as anything over 2500m is classed thus. 57.79 is what the calculator said my V02 max is. My super speedy/fit running friends are all on about 60 so I’m not doing too badly. Pete and I tried to join the normal session but bailed out almost immediately due to knackeredness. An excellent start to my supposed rest week! 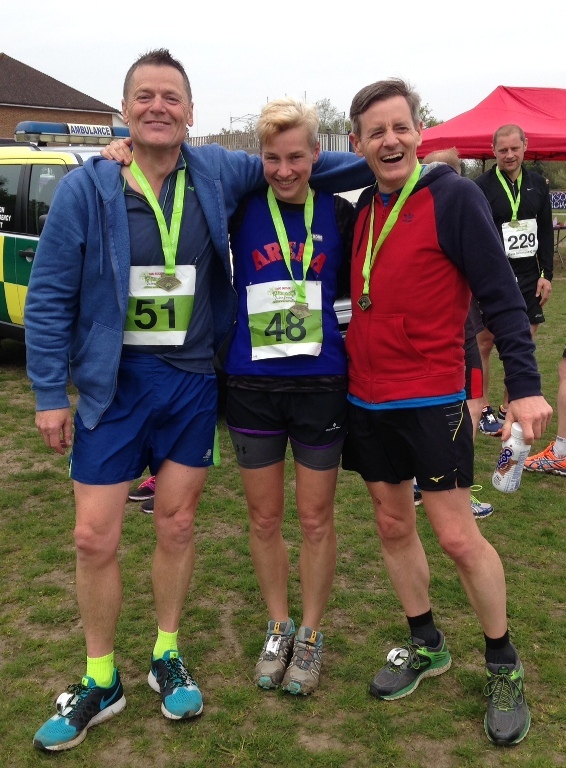 I did then rest fully until Saturday when it was time to embark on the first race in the Sussex Marathon Weekend series. Last year Rob suggested we sign up for the full weekend this year so I immediately did. He did not and has since become injured anyway. So I had to go it alone. Well not alone obviously. Mal and Dean were in for the long haul too. 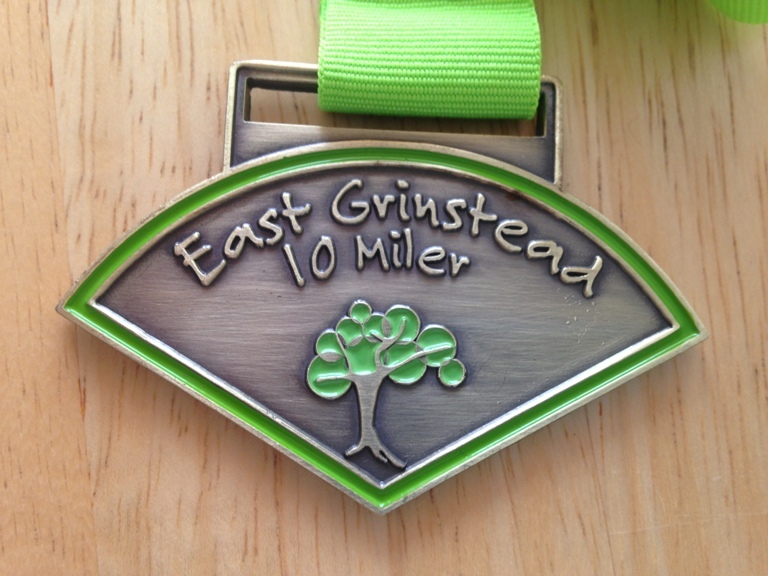 Having never run the East Grinstead 10 miler before I had no idea what it would be like. I decided to read a few reviews just to see if I needed trail shoes and discovered that it was described as off-road with challenging hills. No! All the things I dislike most. 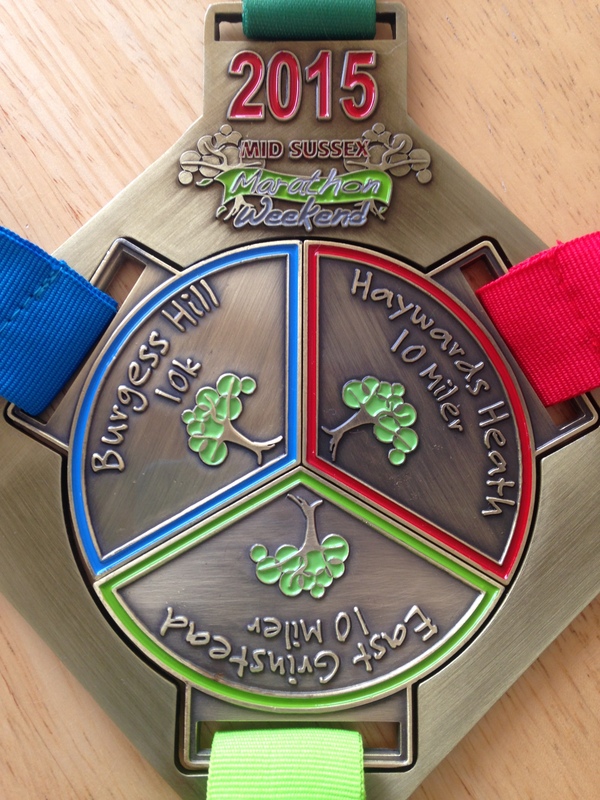 I had just foolishly assumed all the races would be similar to the Hayward’s Heath 10 miler on Sunday which I have done a few times. Anyway I arrived in East Grinstead in a freezing mist. May you say? Pah! Dean informed me the race was indeed very hilly and off-road. Oh goody! In the freezing cold too. With a strong and icy wind. Spiffing. I had decided to wear my Speedcross. Mainly to clean Lancing xc off them. They were filthy. Mal was disgusted. Time passed, and after avoiding the group warm up, it was time to start the marathon journey… and what a start! It was truly horrible. I had forgotten just how hard I find this type of course. Almost entirely off road with most of it run on horribly uneven fields and forest tracks. It being dry was good but also bad as it was ankle breakingly rutted. I spent a large proportion on my own wending along forest paths with no idea where I was or if I was going in the right direction. There were stiles and gates and low hanging branches and all kinds of obstacles to overcome. 10 miles is a long way. I totally ground to a halt aound 8 miles. If I’d been wearing a Garmin it would have auto paused. A man who had been a good 200m behind me caught me up and urged me to keep going so I really tried to keep with him for the last stretch. I did manage to pick it up a bit but positively stumbled over the line. Race one done! 1.17.16. Sunday dawned horribly rainily. 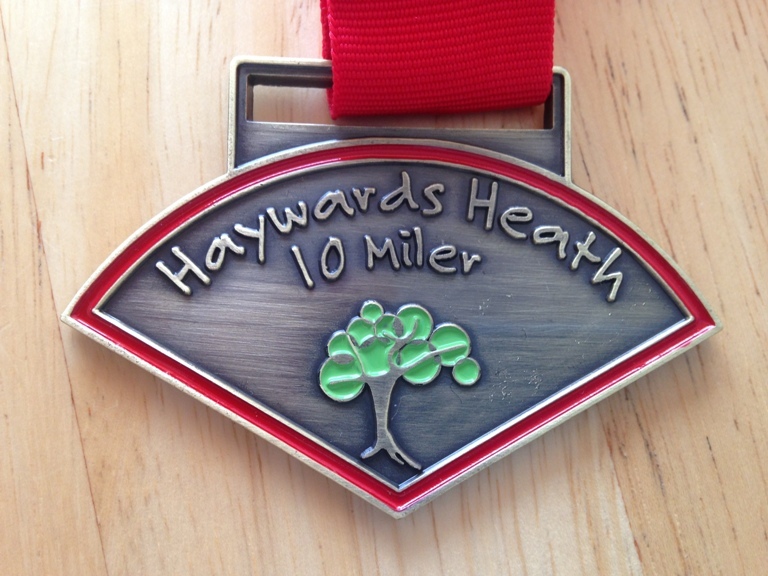 I wasn’t so worried about this run (Hayward’s Heath 10 miler) as I’ve done it before on many an occasion and know it is nowhere nearly as horrible as East Grinstead but the weather was a shame as all the other years it has been sunny. I had a distinct suspicion the run would be rather hard after yesterday as I found that my quads and calves and hips and buttocks were totally destroyed from EG. Serves me right for never doing any off road or hills in training (well really it serves me right for signing up for such a foolish endeavour in the first place [thanks Rob]). The start is a nice downhill road section (for around 400m). Running was difficult. 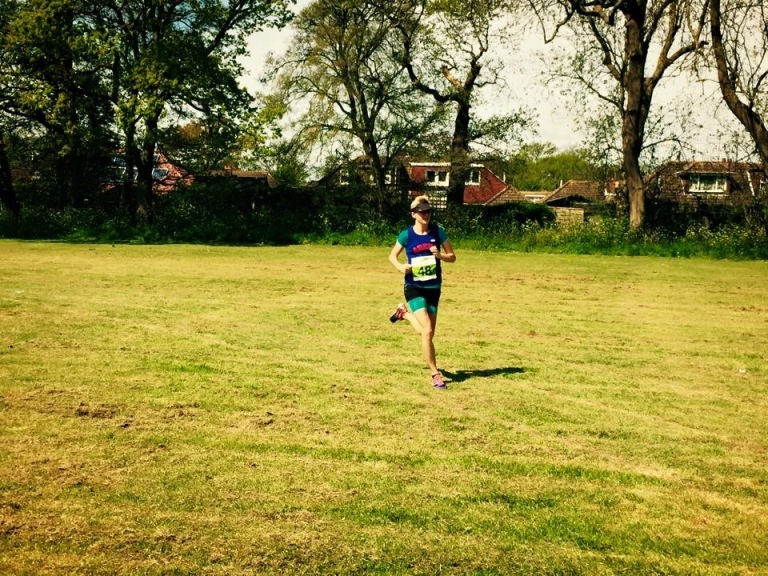 Stiff legs and shattered quads. But still preferable to yesterday what with it being predominantly road (even though hilly). I didn’t feel like I could really get going until around 6 miles and then by 8 miles my hip flexors had almost totally cramped up so I had to adopt an interesting shuffle (alas not a totally speedy Al “The Shuffle” Silvester style one). I was slightly concerned that I might have to actually stop and try and stretch them out somehow but luckily they never tipped over the edge into full you-must-stop-now cramping. Some time, what felt like many hours, later I finally made it into the park for the last downhill to the finish. I was quite surprised to see that I had finished in 1.15.53 which, by no means fast, was acceptable taking into account the state of my legs and blistered feet (I mean really, who gets blisters in this day and age?). I spent the afternoon feeling more tired than I can ever recall and seriously doubted my ability to be able to complete the trio. However this morning (Monday) I felt much much better and the SUN WAS SHINING! May had finally arrived. 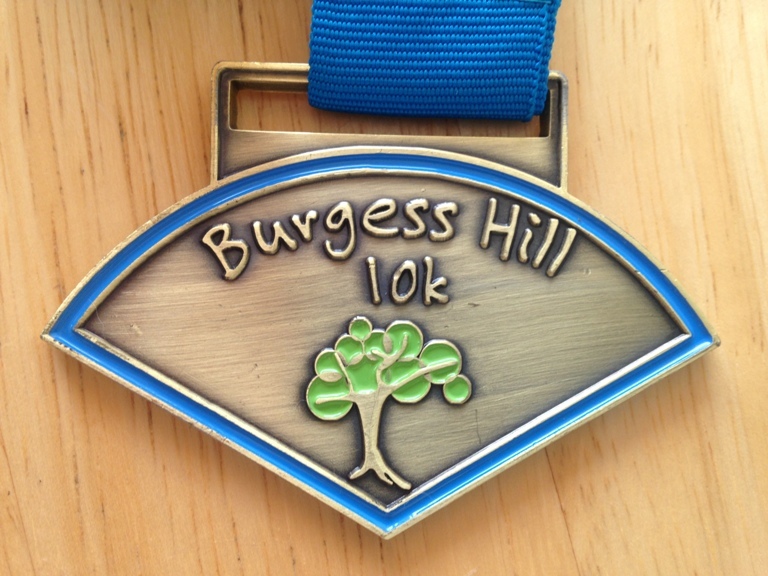 I wasn’t under any illusion that today’s Burgess Hill 10k was going to be any easier for being shorter as I knew it was off road and hilly (again). Sunshine is a marvellous thing though so I wasn’t worried and knew I would complete the three races then never have to do them ever again. 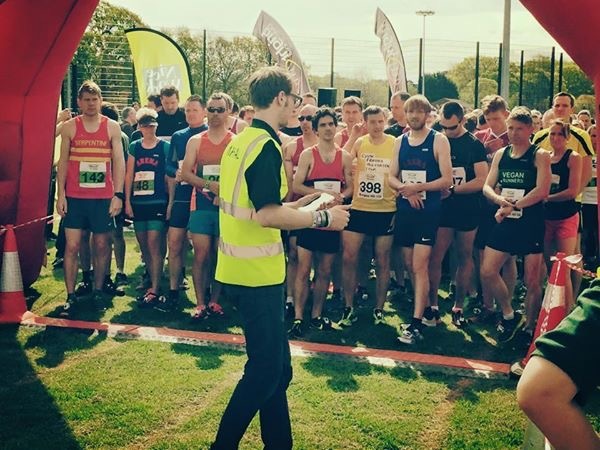 When the announcer told the amassed runners on the start line that the runners in green had already covered 20 miles it sunk in a bit why I was so very shattered so I almost gave myself a break. 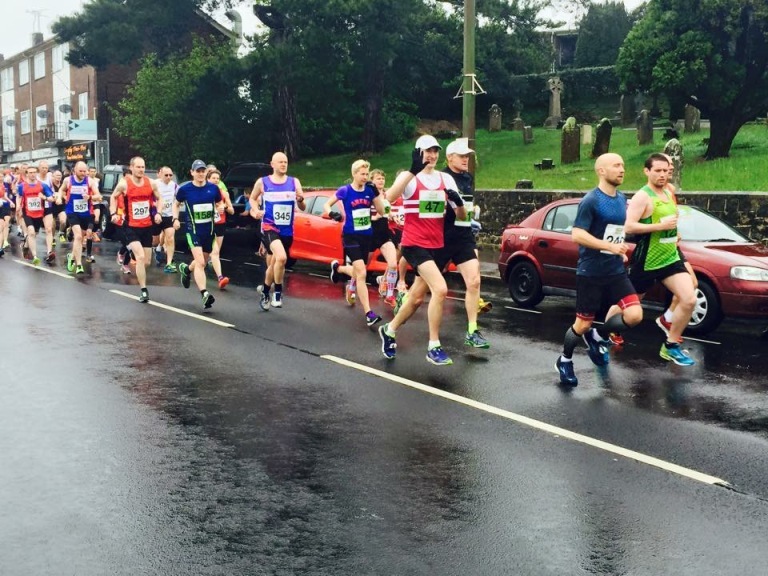 Then it was time to set off on the way to 26.2 mile glory. The course was very twisty and lumpy on rutted off road again but this one wasn’t anywhere near as hilly as Saturday (or Sunday). It did seem to go on forever but it was a nice sunny day and the end was (metaphorically) in sight. When the end was literally in sight I decided to see if I could dig out a sprint finish. It was probably only around 50m but I was pleased to finish the whole ruddy thing in my traditional style. 47.14. I am so pleased I need never do this again! So close to never having to do the bloody thing again! 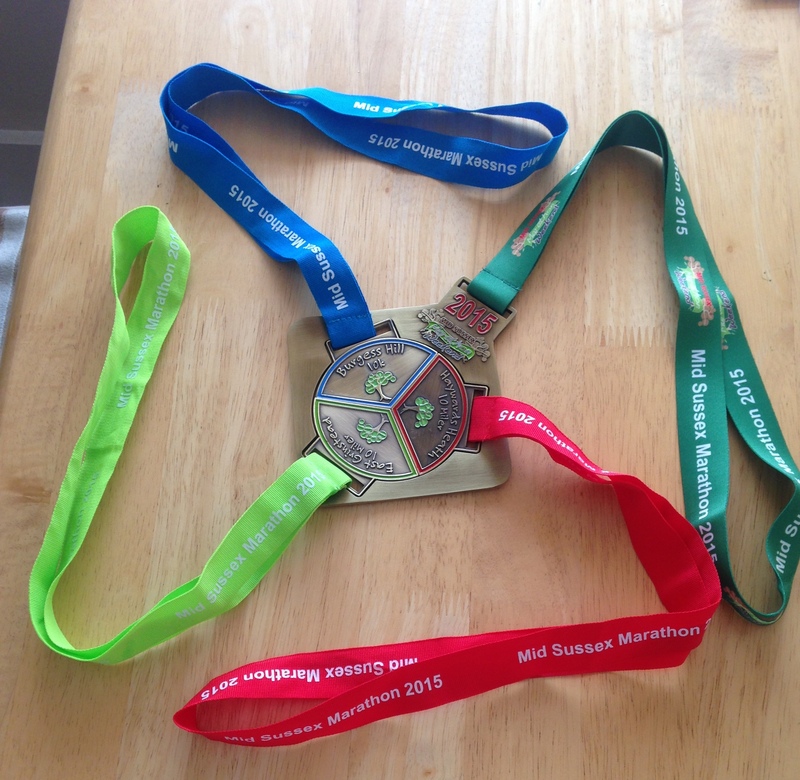 My “marathon” time was 3.20.23 (though I don’t have my official over-all time yet). I’ll never be doing an actual marathon in this time, or indeed in any, so this will have to do. The complete pie in all its glory! Alas I can’t wear it as it will fall apart. A medal any rapper would be proud to wear. I may now sleep for a week.